Investigation established, that the members of the organized group promised a director of one of the company to cancel imposed encashment and release his bank account from distraint imposed by the state and in return demanded payment in amount of GEL 2 700 000. The members of the mentioned group were convincing the director that through their influence and contacts in the Ministry of Infrastructure they would ensure that few dozen millions worth large-scale infrastructure projects are passed to him without participation in tender and competition. The members of the organized criminal group took possession of the part of the demanded amount of money – USD 10 000 through deceit and fraud of the company representatives, when they were detained by the officers of Anti-corruption Agency. 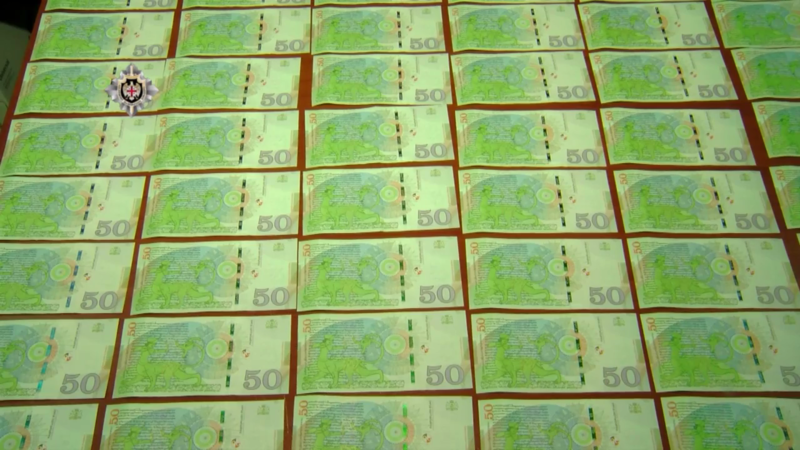 Investigation also established, that Giorgi K., one of the members of the organized criminal group, during parliamentary elections of 2016 and presidential elections of 2018, took in total GEL 350 000 from the representative of the above-mentioned company, in three stages, as if for the purpose of funding of the elections and for high-ranking officials of the State Security Service. Investigation is in progress on the fact of appropriating sum of money in especially large quantities through fraud (Article 180, paragraph II, subparagraph “A” and Paragraph III, subparagraph “B” of the Criminal Code of Georgia, which envisages from 6 to 9 years of imprisonment). Intensive investigative actions are underway into this case. Investigation is carried out by Anti-corruption Agency under the State Security Service of Georgia.